As an aside, I really like the poster associated with this blog posting. 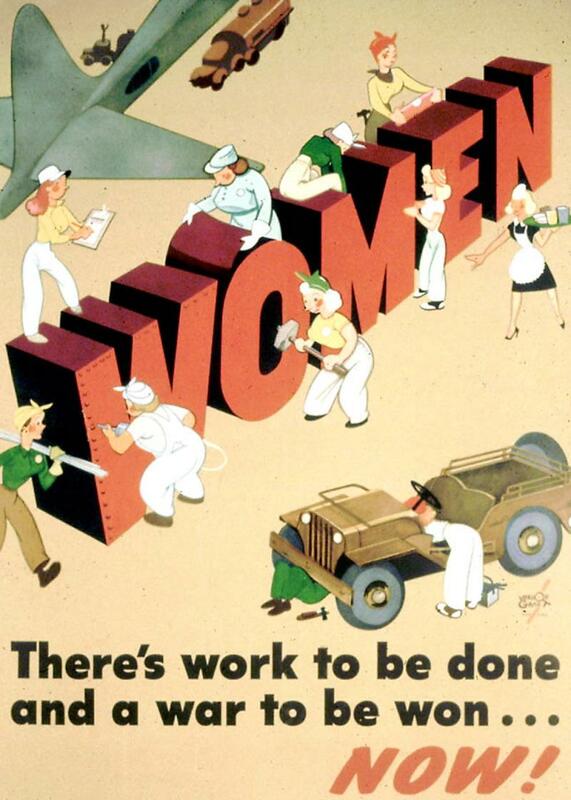 I actually own one of the original 1944 versions of this poster that’s hanging on my wall in my office. Mine is a landscape version of this poster without the airplane. It says at the bottom of the poster that it was “Distributed for War Manpower Commission by OWI.” FYI, OWI was, I understand the Office of War Information during World War II. The artist signature on the poster is Vernon Grant. I’ve been doing feminist activism for 40 years and I still believe in the potato chips dipped in chocolate. Why is Sisterhood so difficult for so many? I am lucky enough to experience it with my NOW Sisters in Illinois. It’s wonderful.